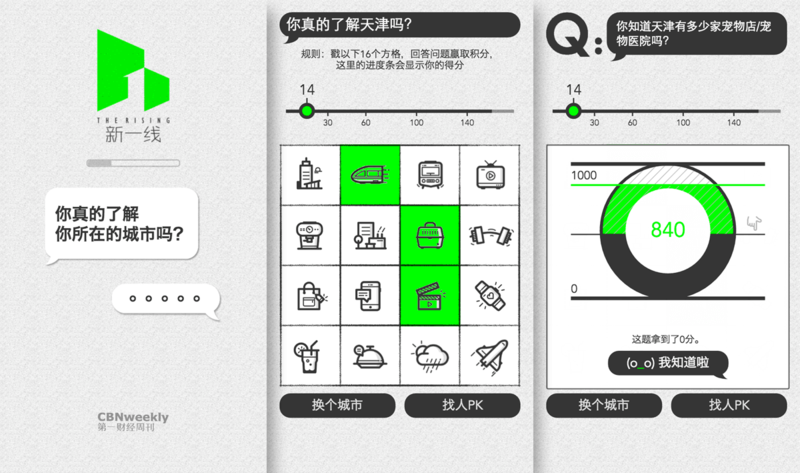 Similar to the project with CBNWeekly in 2015, I worked on this mobile-based single-page app for a new report – Top Chinese Cities of Business Potential. This time, it became a game. To test your knowledge of a particular city, you can answer up to sixteen questions and get a score. I worked with the team in Beijing closely to brainstorm concepts, get the data correctly plotted to more than 270 cities, design appropriate user experience during the game, test across mobile devices commonly used in China, and help boost the performance when it launched.